1) Since brokers are the ones generating all of the income for commercial real estate brokerage companies, why should they be giving away so much of their money to the company and to outside shareholders? 2) Why is it that brokers need to be paying for big salaries and for the overhead of executives located in smoked-glass office towers hundreds or even thousands of miles away, when the brokers can’t quite understand what these people are even doing to help them to make more money? 3) Can we develop a commercial real estate brokerage company with a prominent national presence, where the profits would go directly back into the pockets of the brokers themselves, and the management and the running of the day-to-day operations of the business would take place 100% at the local level of the individual brokerage office, without needing to follow the mandates of executives who are often located many miles away? One of the situations that you definitely want to avoid when making listing presentations, is making a presentation when you have zero or very little chance of landing the listing. This can happen when the decision maker has already determined who they’ll be listing with, but they just want to receive some additional listing presentations for their own due diligence. In addition, within the corporate environment, the person may be told by their boss that they should receive 3-4 listing presentations in total along with the broker presentation packages, even though the broker who will get the listing has already been determined by the company. If you know someone with Type II diabetes or high blood glucose levels, I strongly recommend the book titled, “The Diabetes Code” by Dr. Jason Fung. I got a top broker in our industry to read it and then they were able to quickly stop taking their four daily injections of insulin, and now the broker tells me that their blood glucose levels are lower than they were when the broker was taking their daily insulin injections! Now is the Time to Get Back on Track with Doing Your Prospecting! 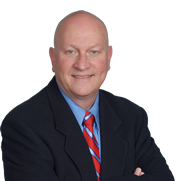 Jim Gillespie is America’s Premier Commercial Real Estate Coachsm. He is the founder and creator of coaching for the commercial real estate industry. In addition to doing professional speaking, he does one-on-one coaching and consulting for commercial real estate agents, commercial real estate managers, commercial real estate investors and developers, and the owners of commercial real estate brokerage companies.